Famous movie quotes make their way into people's lives everyday. They are used in articles and books, used as cliches and also are integrated into fun trivia games played at parties and family gatherings. This quiz will test your knowledge of some of the most famous movie quotes of all time. Can you guess the movies from which these lines were taken? 1. 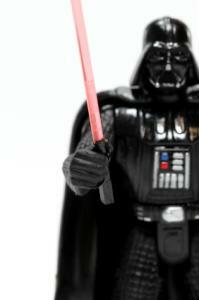 "Don't underestimate the Force," was stated by Darth Vader in which "Star Wars" film? "Star Wars Episode V: The Empire Strikes Back"
"Star Wars Episode VI: Return of the Jedi"